By Hayden Shearman // Pacing your race well, with even splits, is undoubtable the number one thing you can do on race day to maximise your performance and enjoyment of the race. When I first started running, my coach told me that I should be able to run laps of a track and know within one second exactly how fast I ran each lap. I assumed his comment was exaggerated at the time, but after years of track training and countless reps I became so good at guessing my splits that if I forgot my watch at a workout I could be assured I was within a second or two of the set paces. This sort of accuracy only comes through practise. So, if you’re targeting to run a certain pace, set aside time each week to run that pace over a measured course (not just with a GPS watch which are notoriously inaccurate to the degree that we need to be for pacing). It might sound ridiculous to run 200m reps at marathon pace, for example, but you just can’t beat the regularity and accuracy of the feedback you get from running half laps of a track. For example, if you were to head down to a pathway with KM or mile markers, you’ll only get feedback about your pace every 3-10 minutes (aside from your GPS). This just isn’t enough feedback. Imagine if the speedo on your car only gave you your speed every 5 minutes! Wouldn’t be very helpful for avoiding speeding tickets, would it? I also use 200m reps at race pace to practise race starts. Imagine yourself on the start line of your goal race, music blaring, thousands of people around you, adrenaline pumping, an announcer amping everyone up, the starter’s gun going off … now run the 200m and see if you can hit your pace. Do six reps like this a few days out from the race. As well as short intervals at race pace, you should also do extended tempo runs at goal pace so you can feel what that pace is like at varying degrees of fatigue. 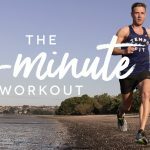 For example, a key marathon workout I use is to include two blocks of 5k at marathon pace within a long run, one in the middle of the run and one towards the end. You can use our calculator to work out your training paces. Each of these paces will involve a slightly different stride rate, stride length, foot strike, arm drive, heart rate, breathing rate, general fatigue level and so on. Tune into these subtle variations between gears and embed them in your muscle memory so you can call on them whenever needed. Muscle memory (as discussed above). Stopwatch combined with physical distance markers. Pre-defined landmarks. (On my usual runs I know exact distances at certain points and the times I am usually reaching them. You can also do this in races. I’ve even gone to the extreme lengths of measuring out a 200m stretch in the first stages of the race so I can use that to gauge my pace early—before I arrive at the first KM marker or before my GPS catches up). Where you are in relation to other runners. (I.e. if you know your competitors well you should have an idea of their fitness abilities, expected finish times and their typical race tactics and so you can gauge yourself off them). One of the benefits of not solely relying on GPS readings is that you can pace yourself much more effectively than others in trail or other hilly races and in hot, windy or humid conditions. For trail races in particular, I like to have a goal total time in mind (based on my previous results and/or the results of other runners compared to their flat-course times) and judge the effort levels I should have across that estimated time. E.g. In an estimated two-hour race I might be at 50-60% effort for the first hour, 70% from 60-90mins, 85% from 90-100mins, 90% from 100-110mins, 95% from 110-115mins, and 100% for the final 5mins. Knowing I couldn’t handle much more than 5 minutes at 100% effort, it’s important that I pace myself well early on and combine that with a realistic estimate of my finish time. Pacing is one of the great skills of a mature runner. Have fun developing this ninja-like talent. Bring out your inner pacing Jedi master! Calculate your training paces and estimated finish times for your next race. 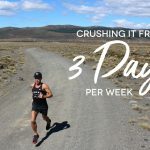 This entry was posted in Training Tips, Uncategorised and tagged GPS watches, half marathon, Hayden Shearman, marathon, pacing, trail running. Bookmark the permalink.